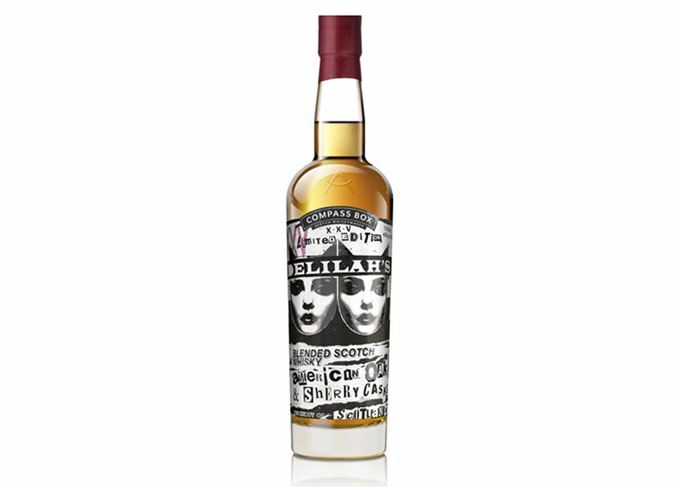 Compass Box’s latest blended whisky marks the 25th anniversary of Delilah’s, Chicago’s famous punk rock whisky bar. Delilah’s XXV, bottled to commemorate the bar’s anniversary in August, is the second collaboration between bar owner Mike Miller and Compass Box’s John Glaser. The first, released in 2013 to mark the bar’s 20th anniversary, was a blend of malt whisky from Teaninich and Glen Elgin, plus grain from Cameronbridge, and was matured in a mix of experimental new American oak barrels. It is said to have had a ‘pronounced sweetness’, and its remainder forms the base (29%) of the new blend after spending a further five years in cask. This is supplemented by malt whisky from Miltonduff, Teaninich, Linkwood and ‘malt whisky made near the town of Aberlour’, plus grain whisky from Cameronbridge distillery. The result is described as ‘a characterful whisky with notes of vanilla and spice, and rich Sherry wine character reminiscent of dried fruits and baking spices’. At 46% abv, 8,520 bottles are available worldwide, in Europe from May and in the US from June, priced at £100/US$100 per bottle.